Roma starlet Nicolo Zaniolo has become one of the wanted players in transfer market. 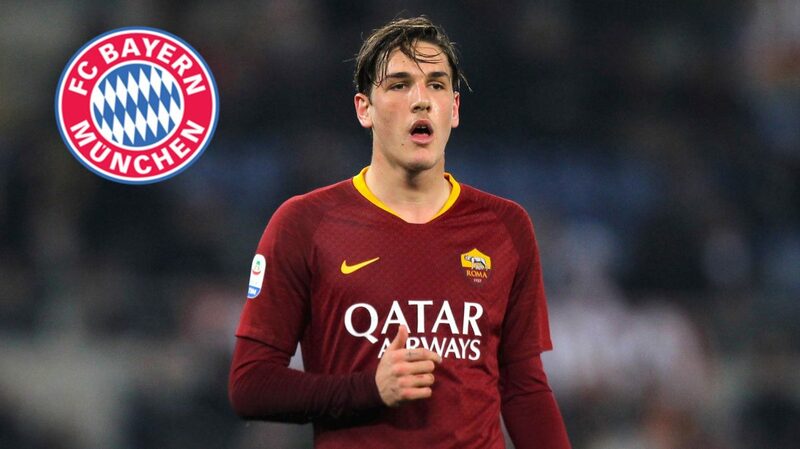 Juventus has recently been linked with 19-year-old player, and now it has been reported by Sport Bild that Bayern Munich are preparing a €50 m offer for Roma midfielder. German side are ready to challenge Juventus as they are looking for new young players for the next season. Franck Ribery and Arjen Robben are on the verge to leave Bayern, while James Rodriguez’s 2-year-loan deal will be expired and it doesn’t seem that Bundesliga champions want to keep Colombian international. With all these happening. Bayern are considering Zaniolo as a replacement for one of those leaving stars.